Have you ever had an issue where the links in the Google or Yahoo (or other) search results redirect your visitors to some other spammy site and NOT your own site? For example, say your site ranks well for “blueberry ice cream” search term. When someone types that search term in the Google engine they will sure enough see your site as one of the search results. But when they click on your link they get automatically redirected to someone else’s site – usually a smutty site or one selling pharma products for enlarging the male appendage or viagra or other similar sites….I’m sure you know what I mean. However, if you were to type your website’s URL directly into the browser you would see no problem at all – ie, your site’s page will display as expected and you would not be redirected to those spammy sites. But how is this possible I hear you ask? How can a link which you click from the Google search results and which you know has your site’s URL in it, redirect you to someone else’s site? In most cases, one of the ways the hackers achieve this clever little feat is by hacking your your site’s php files or you may have downloaded an infected theme or plugin. For this case the header.php of your active theme likely contains the offending code. If this is happening to you, FTP into your server and grab your theme’s header.php file and look for malicious code similar to that shown in the above example. If you find such code it means at the very least that you have downloaded an infected theme or plugin, or, you have been hacked some other way which allowed the hackers to write code into your php files or add their own malicious files. Update your wordpress version if you don’t currently have the latest release. Deactivate and delete your plugins and re-install a clean fresh version for each one. Change DB password and update the wp-config.php file with new password. Always re-download fresh version of your plugins and themes from wordpress.org or the developer you got them from. Also, never download themes or plugins from untrusted sources such as sites claiming to offer “premium” plugins or themes for free which are normally sold on another site. I have cleaned my fair share of sites to get rid of malware for my clients and I’ve seen many interesting and disturbing ways hackers are trying to deface or hijack websites and this is one of many. We should all be vigilant when it comes to our websites because being hacked and then penalised or blacklisted by Google can be a painful experience especially when you’ve put so much effort in building your site up. The most important thing is to be informed immediately as soon as you are infected so that you can take corrective action. One easy and cost-effective way to do this is to have your site automatically scanned daily by our malware site-scanners service. 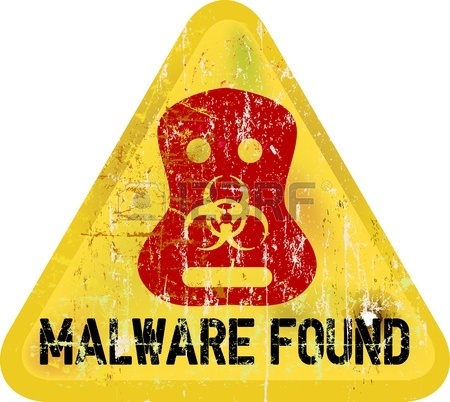 If the scanner finds any malware or suspicious content you will get an email immediately informing you about the problem.